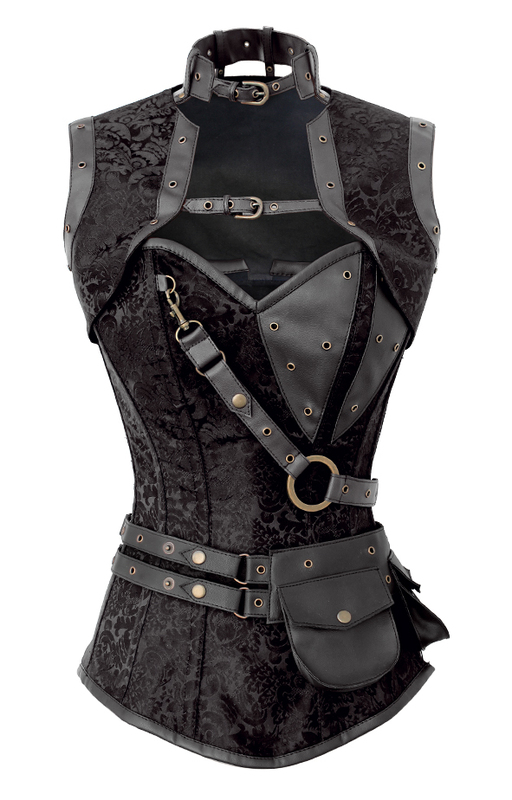 3 piece set : a overbust corset, a detachable belt and a shrug. 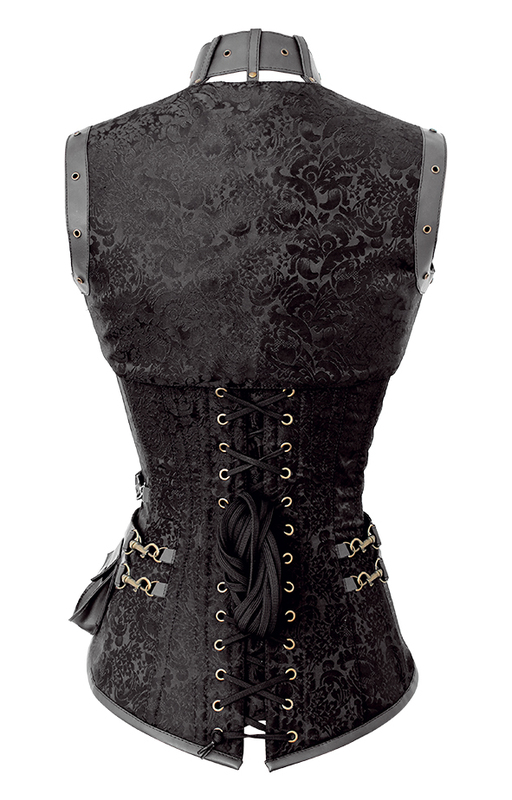 The corset is made of black brocade (polyester) with contrast of faux leather. It is steel boned and lined with cotton for extra strength and comfort. It has a laced up back with covering panel. 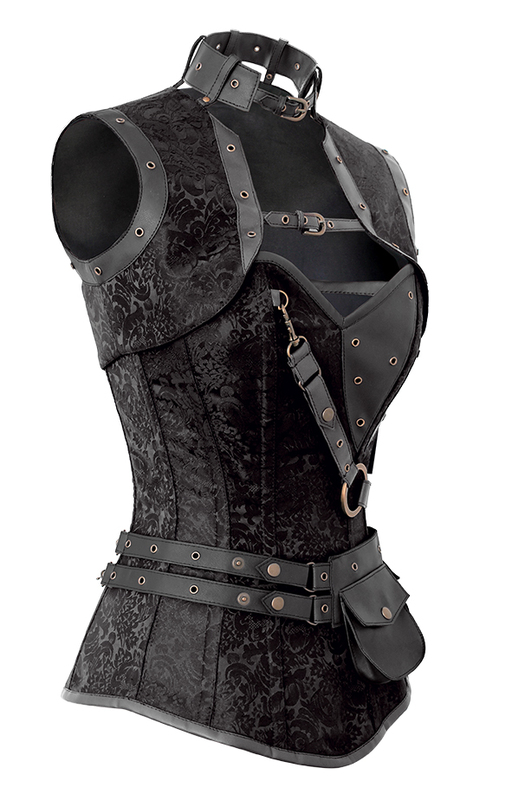 The regular price of this corset was euro 119.95. Size 24: when your waist is 71-76 cm. Size 26: when your waist is 76-81 cm. 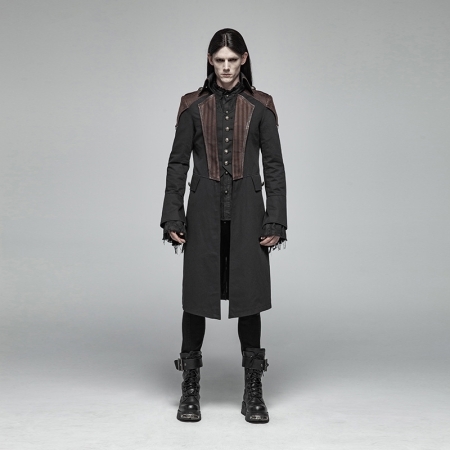 Size 28: when your waist is 81-86 cm. Size 30: when your waist is 86-91 cm.